The garden is our sanctuary, our area of peace, a place for personalisation, and with roughly 90% of households owning a garden, they’re a large part of Britain’s landscape. 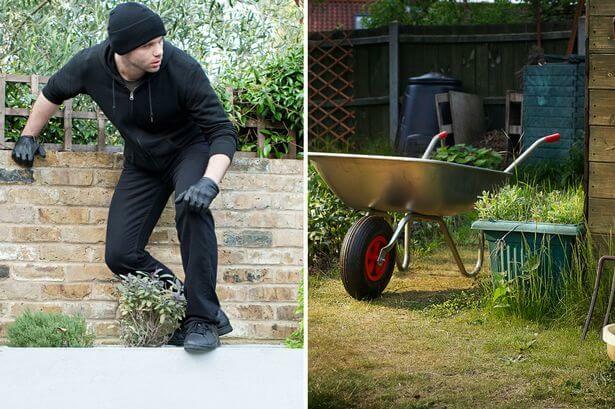 With over £4 billion spent annually on our gardens, they are unfortunately a prime target for thieves, with latest statistics showing roughly 1 in 7 households has an item stolen from their garden , and more gnomes (9.6% of thefts) being stolen than credit/ debit cards (8.2%). Only last month did someone have an elephant memorial (3ft brass ornament, chained and drilled to a post) stolen from their garden – it’s absurd the extreme lengths thieves go to. Therefore, it’s more important than ever to prevent theft and we will show you some easy ways to do so. One of the most common thefts are potted shrubs and trees from the front garden or door area, especially at night. Without a front gate or fence, it’s easy for passers-by to take them, and being fairly common, they’re even more tempting. So my advice is keep the plants and trees for your back garden, providing it’s secure. You can create a gorgeous front garden area without the need for plants (and gnomes). It’s very easy for someone to enter your garden and remove an item, especially if not kept in a shed or outbuilding. For heavier items, it has been evident of people using machinery to remove such items. The best advice here is to simply lock all machinery and tools you have up, whether that be in your house or a shed. If possible, lock up the goods inside any outbuildings for extra precaution, and put a cover over them so potential passers-by can’t see what goods you’re storing. 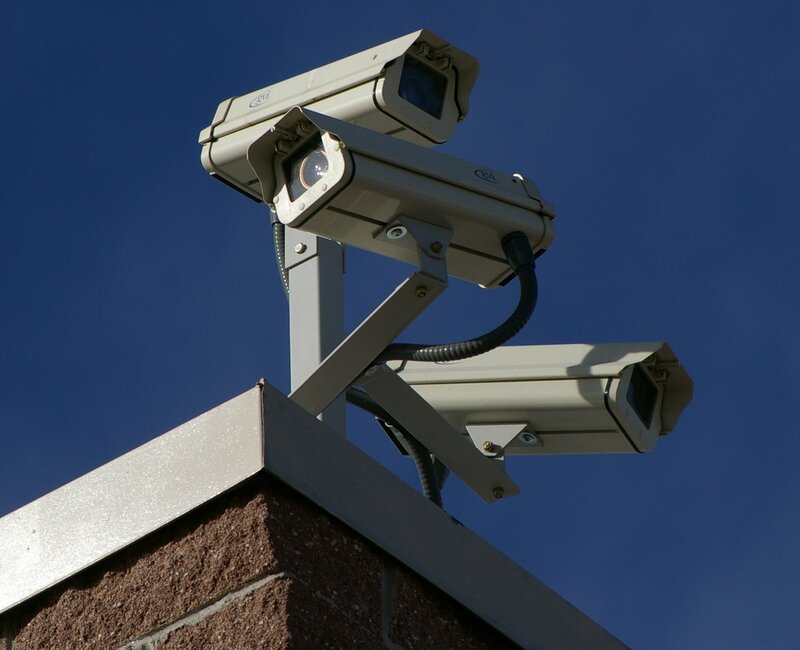 Available for a reasonable low cost, CCTV and security systems are effective for two reasons; deterring and identifying. Many will be put off coming near your house if they saw a security system, with reports stating roughly 83% of burglars try to find out if there is a security system first. You could even be sneaky and put up a fake camera outside your house! If the unfortunate happens and you do experience a robbery, you have a greater chance of obtaining the thief with visual evidence. Thieves like to climb over fences to enter the garden, especially if inaccessible from the front, so what better way to deter them than to give them a shock. Fence spikes are an easy, cheap solution which can be applied to fence tops, and are available in a number of colours (brown being a popular choice so it blends in with your fence). Thorny bushes such as holly bushes are also a nuisance for thieves, but will require more time and maintenance. This might seem a bit obvious (or perhaps inconvenient) but research the local area, especially if you are planning to move. Is there a high crime rate? Is it a hotspot for thefts? There are plenty of tools online to help research crime statistics and you can explore theft and crime in an area . Likewise, get to know your neighbours. If you are friendly with the locals in your area, they are more likely to keep an eye on your house. Whilst the possibility of theft is ultimately low, it’s still better to safe than sorry. So follow these tips to ensure your garden is as safe as houses (excuse the terrible pun). 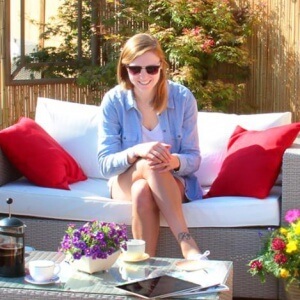 Amie is a marketing enthusiast, having worked at Primrose since graduating from Reading University in 2014. She enjoys all things sport. A keen football fan, Amie follows Tottenham Hotspur FC, and regularly plays for her local 5 a side football team. Amie also writes restaurant reviews on Barnard’s Burger Blog.